Oliver and June are busily prepping for their mom’s Christmas pageant, but their dad EB, on the other hand, has lost his love for Christmas. The kids get a final dose of EB’s Scrooge-like behavior when he takes them to the Woodsley Farm, only to serve the owners a foreclosure notice. All seems lost until Oliver is awakened to all of the Woodsley farm animals in his room – and much to his surprise, talking! 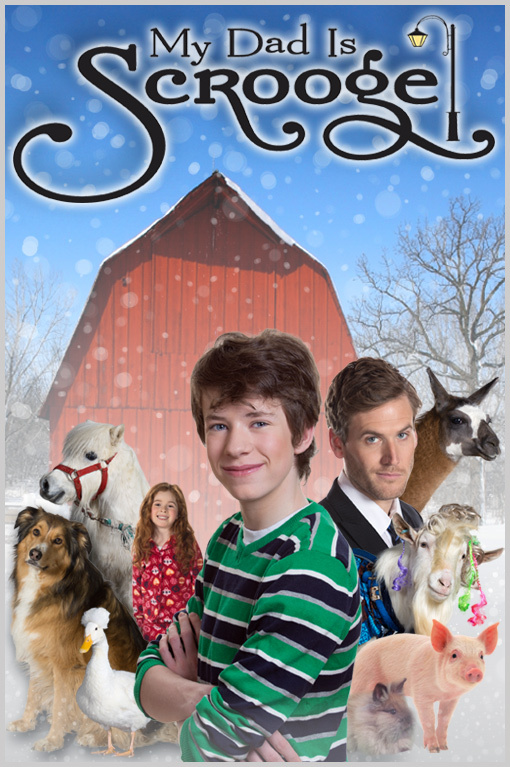 Oliver and the animals work together to use the classic tale of ‘A Christmas Carol’ to get back their farm and make EB believe in Christmas once again. With Nester the llama appearing as a ghost, a rat hypnotist and a couple of close calls – Oliver and the animals finally seem to be getting through to EB. Their ultimate plan is set to take place during the pageant the day before Christmas. However, all goes awry and both the animals and EB ruin the pageant. EB arrives home to be confronted by Judge, the grumpy old farm goat, who shows him the path of destruction that he has set himself on.